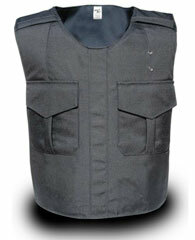 The Uniform Shirt Carrier is our lightweight concealable body armor carrier that doubles as a uniform shirt. The C4 is manufactured in the USA, uses top of the line materials and is adjustable to ensure long lasting comfort. The C4 is made with a moisture-wicking lining that assists in keeping your ballistic panels free from moisture. Complete with a built-in 5″x8″ or 7”x9” trauma plate pocket to allow for a hard or soft trauma plate the C4 carrier system is an optional uniform shirt choice for your concealable body armor system.